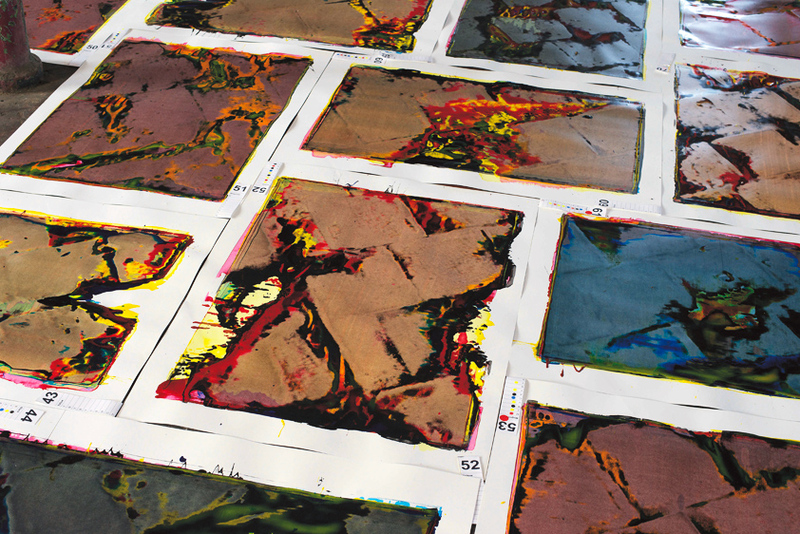 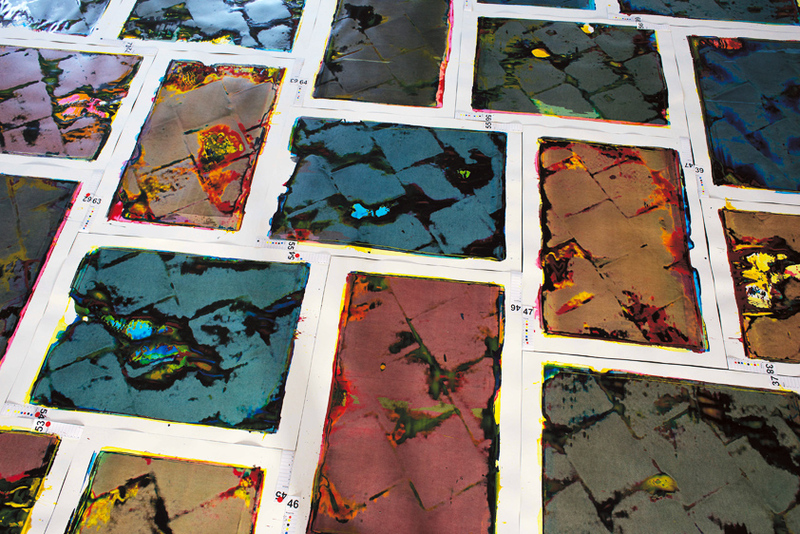 The work is an installation of 100 individual prints in which the artist uses CMYK inks and paper in a specialised form of relief printing influenced by ancient Chinese stone rubbing techniques, considered the first ever form of publishing. 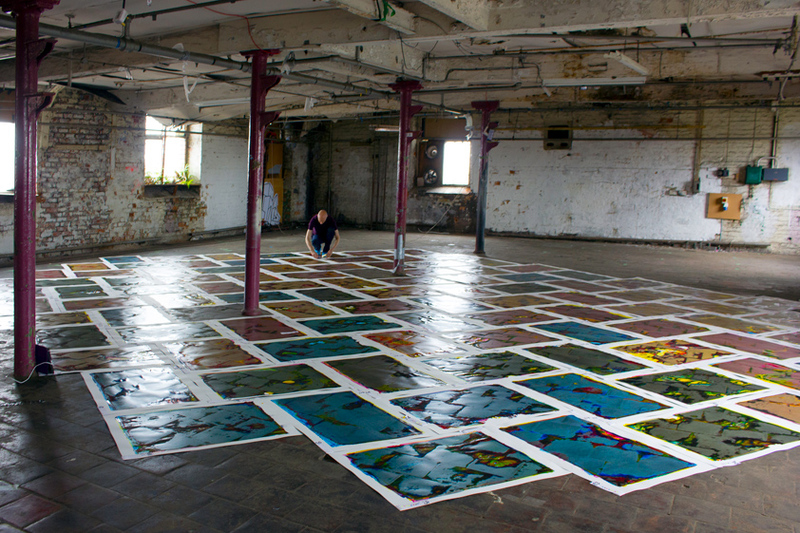 Carlin has used this technique alongside its 21st century equivalent, digital live-streaming, in order to print and publish a vast expanse of a derelict floor surface at Islington Mill in Salford. 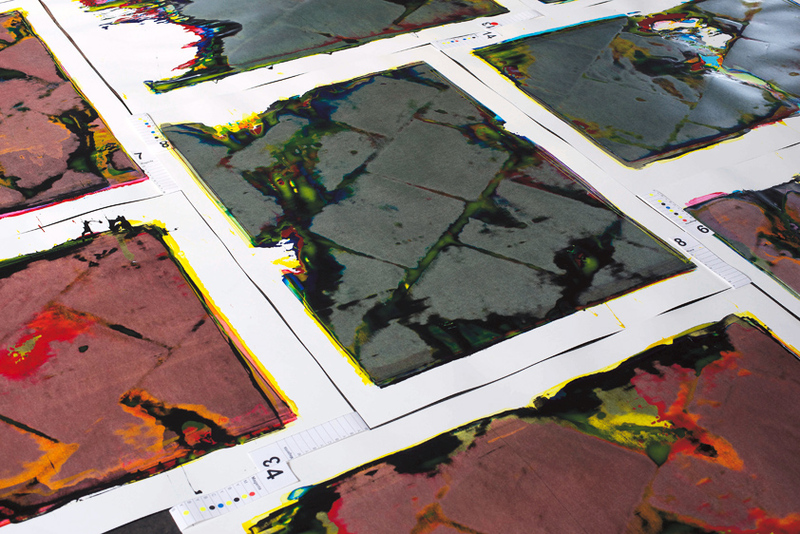 Everyone who buys a print enters a 10 year ‘custodianship’ from 2018 to 2028, a joint ownership with fellow buyers which gives them the opportunity to decide the future of the complete installation, while entering into conversations about the nature of art ownership and the future of Islington Mill itself. 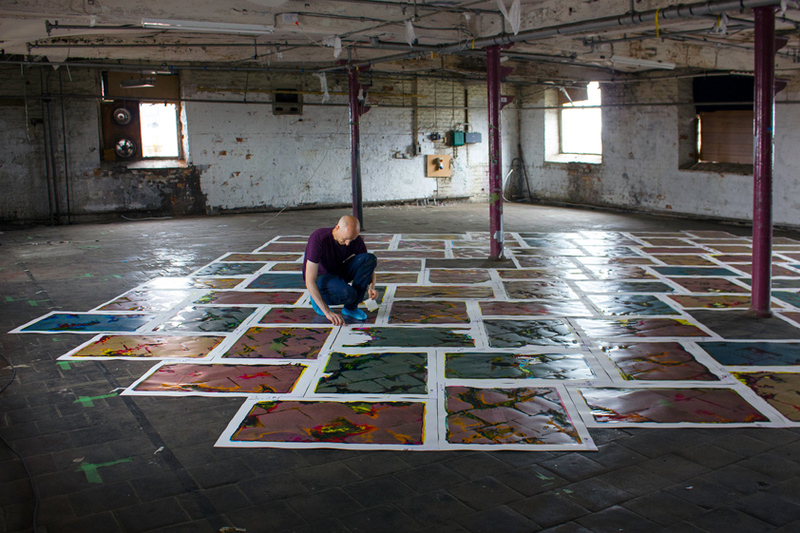 The funds raised from sales of the work (£100,000) will contribute to the building of a new and permanent space devoted to large-scale works and collaborations at Islington Mill, of which this artwork is itself an example. 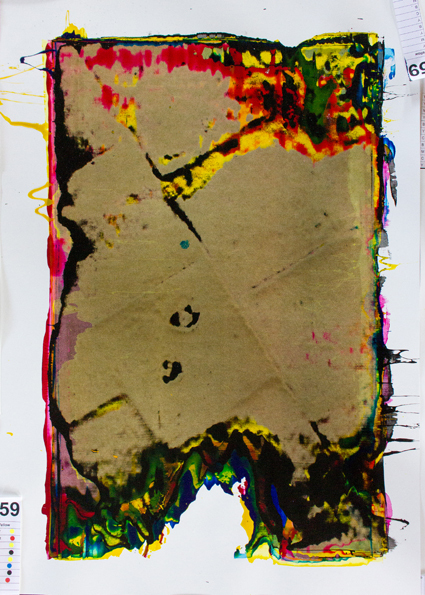 The uniqueness of an artwork is one of it's most defining characteristics; more often than not, only one will ever exist. 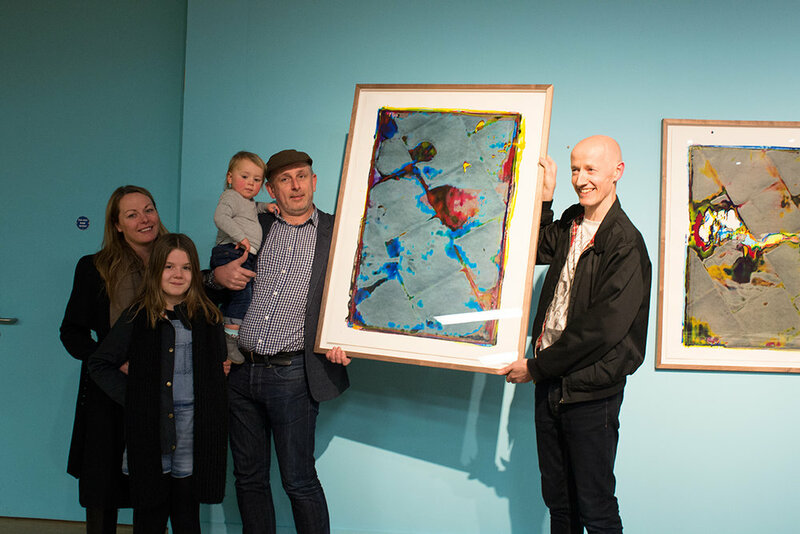 This individuality in authorship translates into ownership – the collector of a unique piece is guaranteed sole access to something that no other person in the world has. 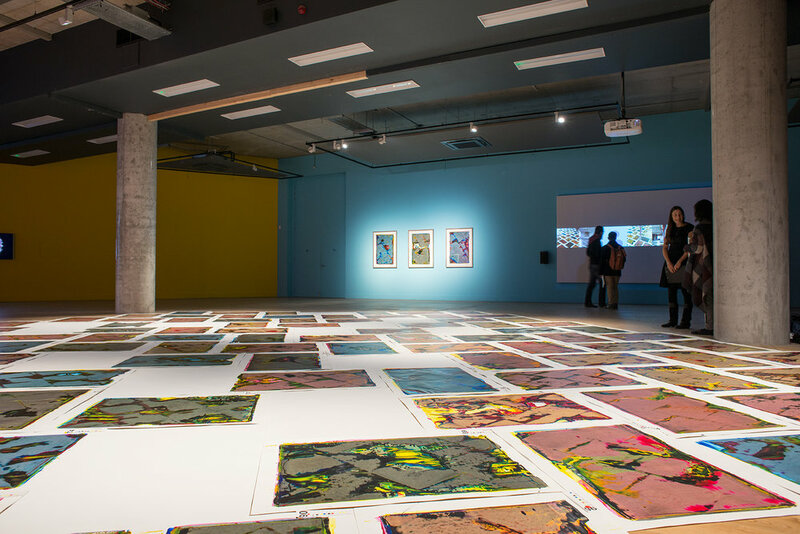 The goal for this work is to challenge this value system, upon which art and artists have become so dependent. 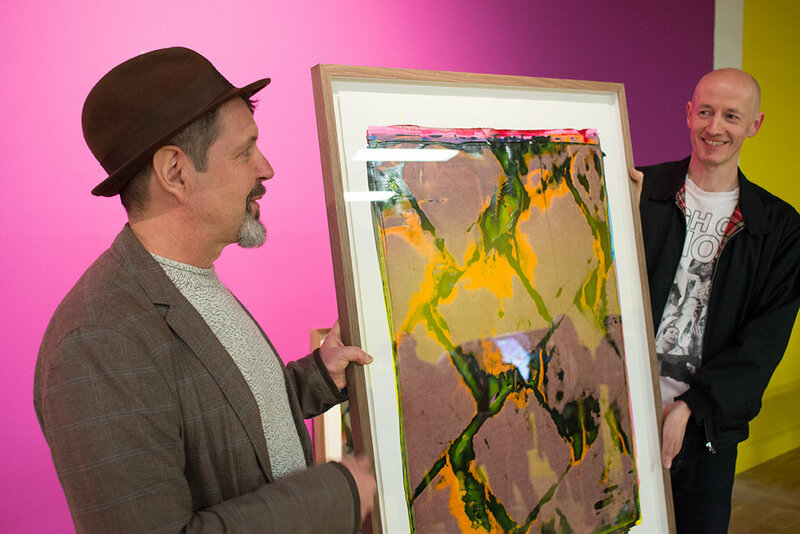 The motivation to buy a piece of this artwork is to join a community of co-owners, to share access to art and to participate in a open-ended experiment into a new form of cultural commons.